A guarantee that 221 cash machines in remote communities in Scotland are safe from closure will only last for four years – and many could still be axed before then. Bosses from Link, which oversees the network, made the admission yesterday as they told MSPs that up to 10% of the 5,400 free-to-use ATMs in Scotland could be lost from next month. Link had previously guaranteed that ATMs which were more than 1km from the nearest alternative cash-point would not be subject to a controversial cut in the fee operators receive from banks each time an ATM is used. Known as the interchange rate, the charge is due to be reduced from 25p to 20p per withdrawal from July for those that are not protected. But Link chairman Sir Mark Boleat and head of consumer affairs Mary Buffee revealed to Holyrood’s economy committee yesterday that the 1km guarantee would only last for four years. And when asked by Labour’s Kezia Dugdale if they could give a “cast iron commitment” that no protected ATM would close within those four years, Sir Mark said: “They won’t close because we’ve reduced the general interchange rate, because we’re not (reducing it) for those ATMs. “If the ATM deployer needs to close them for other reasons – for example my local ATM closed because the garage closed – we can’t stop that. Ms Dugdale said the prospect of ATM closures was “terrible news on top of bank closures”. However, the Link representatives also pledged that a subsidy – thought to be worth up to £2 million across the UK – would be used to help keep remote ATMs open. 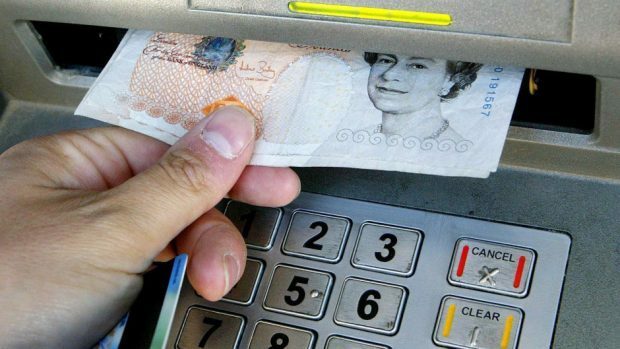 Sir Mark said that the number of cash machines had doubled in Scotland over the last 10 years, but that Link “can’t ignore” that cash use had fallen 30% in the last decade as the use of contactless bank cards has grown and is forecast to fall by a further 40% in the next 10 years. He added: “What we’re doing is a response to what the public is doing. The public is using cash less.